Shkrebets & Partners is based at the law firm Shkrebets & Partners, which was founded in 2002. Our team is currently a united team of like-minded people who have reached a high professional level as a result of our many-day participation in resolving disputes in the interests of our clients. The company has 25 staff. Major practices: taxation, criminal law and process, land and property, commercial law, corporate relations, bankruptcy, representation in courts. Managing partner: Eugene Shkrebets, started the law practice in 1992. In 2002 he founded the law firm Shkrebets & Partner. He has been an attorney since 2002 and in 2002 he became a member of the Kharkiv Regional Bar Association. He has been the managing partner of Shkrebets & Partners since 2013. Mr. Shkrebets is also a member of the Kharkiv Region Qualification-Disciplinary Commission of Advocates and a member of the Board of the Association of Ukrainian Lawyers in Kharkiv Region. In 2017 he defended his Ph.D. thesis on the topic “Advocacy of Ukraine: Administrative and Legal Support of Activity at the Modern Stage”. Specialization: tax law, criminal law and process. 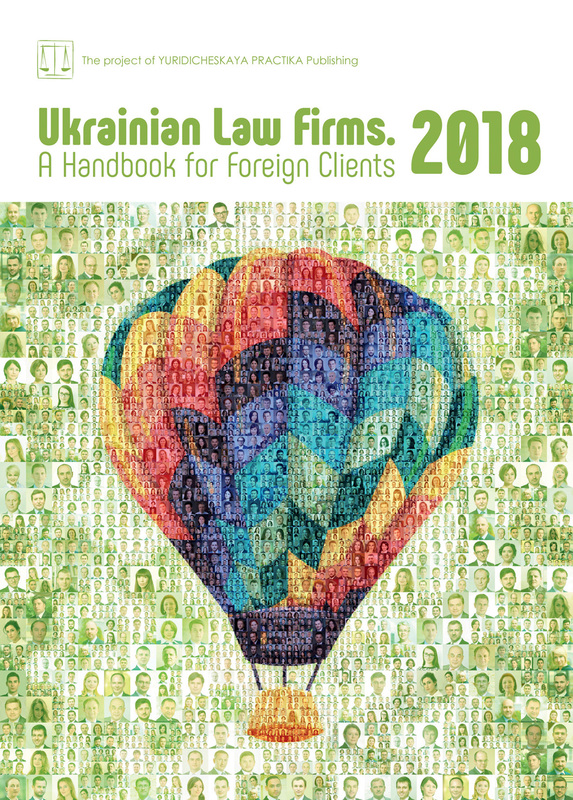 Rewards of 2017: Best Regional Law Firm, TOP-50 Law Firms of Ukraine, TOP-50 largest law firms of Ukraine. The main law, which governs the activity of housing and communal services is the Law of Ukraine On Housing and Communal Services, adopted at the end of 2017 and which will come into force in June 2018. This law stipulates an absolutely new approach to the provision of housing and communal services, in comparison with the previous law, which was adopted in 2004 and regulated these relations before adoption of this new one. The new law determinates the circle of subjects on the market of housing and communal services: consumers, managing director — legal entity, who under the contract with the owner or the asset holder performs control over multi-apartment buildings; the producer — the subject of managing, making or creating the housing and communal service. They are providers of cold and hot water, drainage system, gas supply, heating, electricity and also export of household waste. The contracts on the provision of the communal services are concluded separately for each service. Such contracts can be concluded between the producer and each consumer personally or when this is a multi-apartment building — the managing director can sign an agreement as the representative of all the owners (this can be done for every service except gas supply and electricity). In such case consumers pay for services to the managing director and the latter pays the producers. An important point of the new law is the granting of the right to inhabitants of a multi-apartment building to independently decide on the person who will manage the house. The service on the management of the house must include the following services: cleaning of indoor buildings and adjoining territory, performing sanitary-engineering works, servicing of internal building systems, maintenance of elevators, ongoing repairs of the common property of a multi-apartment building, purchase of electricity to ensure the functioning of joint property of a multi-apartment building. This list of services is not exhaustive; the owners can choose the provision of additional services, which depends on the needs and individual characteristics of a residential building. The election of the manager of a multi-apartment building is a complicated procedure as, according to current legislation, it requires the consent of at least 2/3 of the apartment owners, which is not always possible in practice. But for this case legislators have decided that if the owners of apartments haven’t selected a managing director for their multi-apartment building; the representative of the local authority organizes a competition for the post of managing director. In addition to the Law of Ukraine On Housing and Communal Services there are also several Laws, which regulate in detail the provision of these services: On Heat Supply, On the Gas Market, On the Electricity Market, On Drinking Water, Drinking Water Supply and Drainage, On Household Waste, On Peculiarities of Exercising Ownership Rights in Multi-Apartment Buildings. All the listed laws were adopted or amended over the last 2 or 3 years, and the main amendments are the demonopolisation of markets by providing access to these markets to as many producers as possible. There are also around twenty normative acts adopted by the Cabinet of Ministers of Ukraine and the specialized ministries, which detail their provisions. The legislative changes in the regulation of housing and communal services are due to the following problems. With regard to general statistics 2/3 of houses of Ukraine were built before the 1970s. More than 1/3 of houses need an overhaul. More than 1/3 of boilers which provide heat to multi-apartment buildings are outdated and energy-intensive. The communal infrastructure is worn out by more than 60% and one fifth of heating networks find themselves in an emergency condition. The physical aging and depreciation of structures and internal systems of housing has become the main reason for the decline in the quality of utilities, deterioration in the comfort, reliability and safety of living conditions for inhabitants of settlements. On the other hand, the poor physical condition of in-house systems, low thermal protection properties of fencing structures and the lack of technical capacity for consumers to control the consumption of heat energy led to unjustified, high levels of consumption of heat and drinking water. Accordingly, the size of charges payable by residents for heating services has been steadily increasing, which was particularly acute in the context of the rapid increase in the cost of energy in Ukraine. In addition, consumers did not have the opportunity to independently control the volume and quality of provided utilities, or to abandon them or choose their value. The existence of monopolies in the provision of communal services led to a fall in their due to absence of competition, and the lack of a transparent system in the formation of tariffs for utilities provided, which led to their overestimation (overcharging). Consumers were usually required to compensate the loss of service providers which they had due to a technical dysfunction and outdated equipment and networks, which was not an area of responsibility of consumers. An important point was the encouragement of apartment owners to create associations of co-owners of such houses for the purpose of more efficient management of houses, built by the state. There are currently about 28,000 such associations in Ukraine, and although this amount is insignificant in the total number of all multi-apartment buildings (75,000), the number of such associations has been rising rapidly in recent years. This form of house management has proven itself in practice, as it allows residents to quickly solve problems at home and also accumulate funds for major projects such as major repairs at home. The association of co-owners can either personally carry out the functions of management of the house, or hire a special company-manager, whose quality of service will be controlled. In addition, the state provides preferential loans to such associations and even compensates part of the cost of energy conservation work, with old windows, roofs, internal home networks and insulation of exterior walls being replaced as a priority. The law which governs the relations in this sphere is the Law of Ukraine On the Association of Co-Owners of Multi-Apartment Houses. Legal protection in the sphere of housing and communal services is primarily related to disputes between the consumers of services and their producers. Service producers complain to the courts because of the non-payment for provided services; and, consumers complain about the quality of provided services or demand payment of damages caused to them as a result of improper performance of duties by service providers. There are many disputes around the creation of the Association of Co-Owners of Multi-Apartment Houses. It is worth noting that the majority of multi-apartment houses are serviced by enterprises that are formed by local self-government bodies. In the activities of such enterprises, there are usually many abuses, primarily related to the targeted spending of cash, which they get for maintenance of homes from residents. In addition, such enterprises tend to serve a large number of houses and are not able to provide high-quality services to each of them. Consequently, such enterprises themselves are the main opponents to the creation of a co-owners association, since after the creation of such an association they will lose the right to receive cash from the owners. To a separate category of disputes it is necessary to highlight disputes between the producers of housing and communal services, since the producers of some services are simultaneously consumers of other services. For example, a producer of heat is a consumer of natural gas from which heating energy, electricity and water supply as well sewage services are produced. At the same time, at a certain stage, the debts of some service providers to others can run into hundreds of millions of hryvnyas. This is usually due to the imbalance of the payment system for the services received. However, the state recently took some important steps in this area. A system of so-called “special accounts” was introduced, in which money received as payment for consumed services is accumulated in a single bank account, from which part of it is obligatorily transferred to another provider of services. For example, in the case of heat supply, the supplier of natural gas, from which the heat was produced. The percentage of deductions for such revenues is set by a special state body every month. With regard to housing and communal services, the problem of setting prices for utilities cannot be avoided. During 2014-2017 the state, within the framework of implementing agreements with the IMF, gradually increased their prices to market levels. At the same time, the poorer sections of society were able to get so-called “subsidies”, which is compensation from the state of part of the cost of services rendered. Citizens who received the right to a subsidy pay the producer of services not the full value of the services rendered, with the remainder of the cost of services rendered coming from the state budget. Since such compensation is not rhythmic, but with time discontinuities, this is also one of the reasons for the arrears owed by some service providers to others. To sum up, over the past three years Ukraine has taken very important steps in the field of legal regulation of housing and communal services, which should balance the system of interaction between consumers and service providers.